New in paperback. Beer, the world’s third-most-popular drink after water and tea, comes in many forms and flavours. This down-to-earth, extensively illustrated book brings the successful Haynes Manual approach to the world of beer, providing a fascinating insight into how beers and brewing techniques have developed around the world, and offering practical guidance on how to produce successful home-brewed beer. 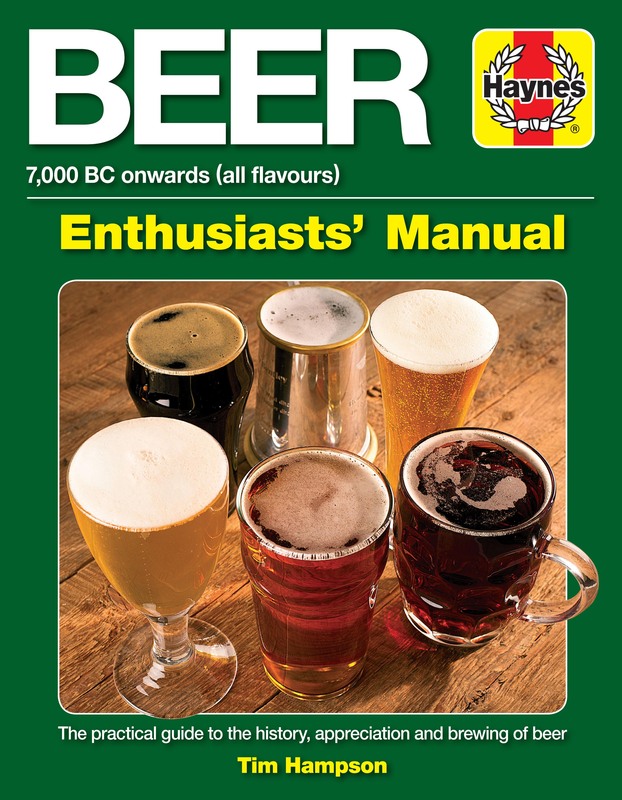 This manual is essential reading for all beer fans, from drinkers wishing to learn more about the beer they drink, to potential master brewers. Author: Tim Hampson is an acknowledged expert on beer. He has written a number of best-selling books on beer and brewing, including 101 Beer Days Out, London’s Best Pubs and The Beer Book. His work also appears in Food and Travel magazine, Weekend Telegraph and What’s Brewing, in addition to various trade publications, and he is also beer correspondent for BBC Good Food Live and the Sky Pub Channel. He lives near Oxford.